The Manitoba Moose are pleased to announce a more convenient way to manage your seats. 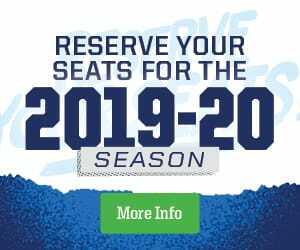 Beginning with the 2018–19 season, digital tickets will become the universal method of delivery through Manitoba Moose Account Manager, replacing PDF’s and print at home option. You and your guests will no longer need to print tickets in order to access Bell MTS Place for Manitoba Moose Hockey Games. Digital ticketing provides a safe, and convenient way to access Bell MTS Place and distribute your seats to friends, family and others. Many businesses and industries have transitioned to mobile platforms including banking, ordering groceries, travel and adding your Manitoba Moose tickets to the list is a natural fit. IMPROVED CONTROL: Improved control and distribution when sharing tickets. Click on the links below to jump directly to that question. If you don’t find an answer below, ask us a question HERE. Why is Bell MTS Place implementing Digital Ticketing? Can I print my ticket from home via PDF? How do I access my tickets on my desktop computer? How can I scan my tickets if I don’t have a data plan? What if I can’t access my seats on my phone (runs out of battery, dies or is lost or stolen)? Can I use a screenshot of my ticket to access events at Bell MTS Place? How do I send tickets to friends, family, or business associates? Can I send more than one game/event together? Does the person I send the tickets to need an account? What if I send tickets to the wrong person, can I recall the tickets? Can ticket holders send tickets after the event has started? How can I donate tickets for a silent auction without printed tickets? Digital Ticketing is the safest, most convenient and flexible way to receive and manage tickets while increasing protection against fraud and lost or stolen tickets. Digital Ticketing brings your event(s) into an account to help you manage your seats more conveniently while providing you additional distribution options. Similar to Banking, ordering groceries and travel using your smart phone as access provides a multitude of options to enhance your Game experience. UP-TO-DATE: Allows Bell MTS Place to instantly provide updates or changes to events for the individuals attending the event – Traffic updates, Time Changes etc. No. Print-At-Home tickets (PDF) are no longer an option moving forward. Access to Bell MTS Place events will require a Smart Phone to enter the building. For the 2018-19 Season, Manitoba Moose Package Holders will continue to receive a Moose Pass Card to keep in their wallets for additional access to their Season Seats. Download the Manitoba Moose App from the iTunes App Store or the Google Play Store. Go to “Manage Your Account”. Log in using your email address and password associated to your Moose account. Scroll through and find the game you’re looking for and tap to “view tickets”. Select the option to Save to your phone’s wallet. When you arrive at Bell MTS Place, present your smartphone to have your ticket scanned. If you have guests and multiple tickets on your phone, simply swipe to navigate between them. Log in to your Jets Account using your email address and password associated to your account. Click on the game you wish to manage your tickets for. If you do not have access to a smartphone, you are able to send and receive ticket transfers on any desktop, laptop or tablet. You will need to proceed to the Bell MTS Place Box office at Portage and Donald with government issued ID to access your tickets to the event you are attending. Bell MTS Place offers complimentary WIFI within the facility so a data plan is not required to scan your tickets. To expedite the process at the gates we encourage you to preload your seats to your phone (Apple Wallet – Iphone; Google Pay – Android) prior to arriving at Bell MTS Place. We ask that you proceed to the Bell MTS Place Box office at the Portage & Donald Entrance or at the upper South location in front of the Entrance to the 300 Level of Bell MTS Place if you need assistance with accessing your seats. In addition, Bell MTS Place staff are readily available to assist you on-site with any last-minute ticket support needs. If this occurs prior to arriving at Bell MTS Place you can always reach us by phoning our office Monday to Friday from 8:30am to 5:00pm at 204-987- Puck (7825) or emailing info@moosehockey.com. No, screenshots are not valid tickets for entry and you may be denied entry and redirected to the Box Office for assistance. A mobile ticket must be displayed either within the app, the mobile website or within your phone’s Apple/Android wallet to be provided entry. We recommend your screen brightness be turned up to 100% for best scanning ability Additionally, Bell MTS Place Representatives at either Box office are readily available to assist you on-site with any last-minute ticket support needs. Your tickets are accessible to manage, view and transfer any time leading up to your event. The barcode for entry will become active within 48-hours prior to your event and is only required when scanning through the entry gates upon arrival. Yes, you can have multiple tickets on one phone. You will simply be required to enter Bell MTS Place with your entire group. For the best experience, the recommendation is to always transfer the individual tickets to each attendee. As a last resort, Bell MTS Place Representatives at either Box office are readily available to assist you on-site with any last-minute ticket support needs. The recommendation is that you transfer each individual attendee their ticket prior to attending the event. Log in to your Moose Account using your email address associated to your Manitoba Moose Account and the Password. Click Send to send the tickets. Can I transfer more than one game/event together? Yes, to provide secure access to tickets all ticket holders require an account, however, you can send a ticket to them before they create an account – all you require is their valid email address to begin the send process. Upon receipt of the ticket transfer via email, the recipient will be prompted to create an account during the acceptance process. Yes, tickets can be reclaimed provided they haven’t already been accepted by the recipient. We recommend you double check the email address you’re sending to before confirming your send. Yes, ticket sending is available for all tickets in your account that have not already been scanned into the venue. However, you cannot post tickets for resale after the event has begun. If you would like to donate your seats for a select game to a charity event or wedding social mobile ticketing is far safer and more convenient than with physical tickets. We recommend that you send your tickets via Account Manager to the event organizer in advance of the event. They will be able to access the tickets and immediately send them to the silent auction winner following the event. For silent auction display purposes, we have created a ticket donation template for the auction/event organizer to fill out and display at their event. Please contact our office at 204-987-PUCK (7825) or email info@moosehockey.com.